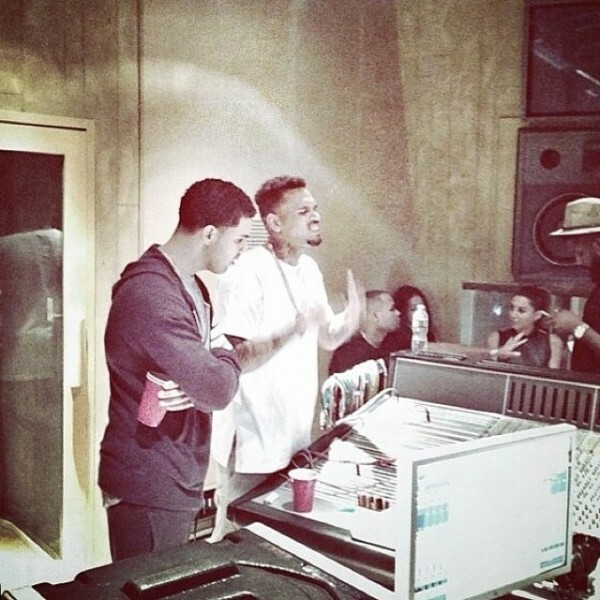 RANDOM: Chris Brown & Drake in the Studio | sB! It has been no secret that Drake and Chris Brown have had their differences. Now with the upcoming release of Chris Brown’s X album, he has been working in the studio and Drake was spotted with him as well. Big Sean reposted this photo from Marcos E Palacios of DA INTERNZ (@kosine5) on Instagram captioned, “Glad to see it.” We are too and excited to hear this collab. This entry was posted on July 11, 2014 by Joey. It was filed under Music and was tagged with chris brown, drake, Marcos E Palacios, upcoming release.